Guest post by Evolve Vacation. The Evolve Vacation Program offers travelers the rare opportunity of a lifetime to combine a tropical vacation under the sun with authentic training under World Champions. 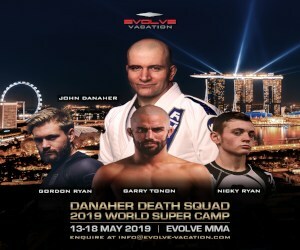 You can train at one of the world’s most famous mixed martial arts academies, Evolve MMA, and also enjoy the exotic hidden treasures of the beautiful tropical island of Singapore. Evolve Mixed Martial Arts® is Asia’s top martial arts organization. It is our mission to deliver the best martial arts instruction available anywhere on the planet. Our award-winning instructor team includes authentic World Champions in Muay Thai, Brazilian Jiu-Jitsu, Mixed Martial Arts, Boxing, Wrestling, No-Gi Grappling, and more. We have been consistently ranked as the #1 martial arts organization in Asia by CNN, Yahoo! 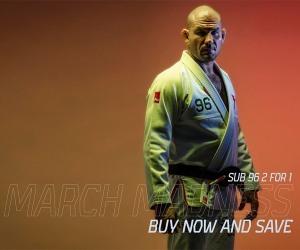 Sports, FOX Sports, ESPN StarSports, Tokyo Times, MMA Mania, The Fight Nation, Asian MMA, Combat Asia, MiddleEasy, and many other leading authorities. Evolve MMA ranks among the very best in the world. trength & Conditioning Training- Olympic Judo Champion Ilias Iliadis. Conor McGregor's Strength & Conditioning Training For Khabib Nurmagomedov.